This summer, noted teaching artist and author Mitchell Albala brings the plein air experience to the Methow Valley. This workshop offers a practical approach that focuses on the three key practices of landscape painting: simplification and massing, composition, and color. 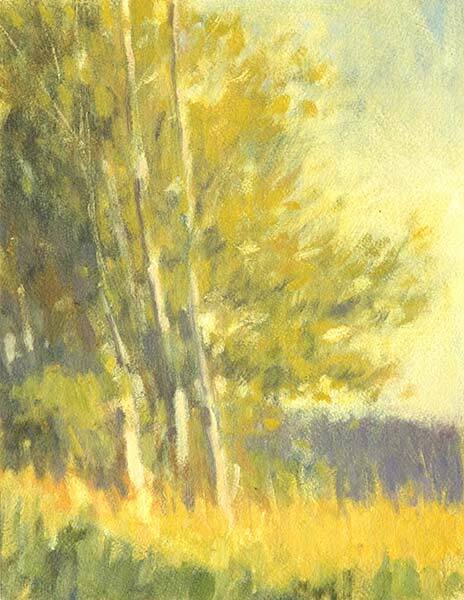 Rather than adopt a rapid fire and sometimes rushed approach to plein air, this workshop encourages problem-solving, with special attention given to strong starts — proper site selection, simplified compositional studies, and the most direct method for starting a painting (the abbreviated underpainting to establish effective design and value structure). Also covered will be color strategies and paint handling. Mitchell’s demonstrations, practical teaching style, and one-on-one support will help participants develop an approach to plein air that can be utilized long after the workshop has ended. Hours: The class meets for two sessions daily (for optimal lighting), a morning session from 8–11 am, and an afternoon session from 3:30–6:30 pm. The time in between sessions may be used for lunch, relaxation, or touring the Valley. Cost: The cost for this intensive three-day workshop is $285 per person.